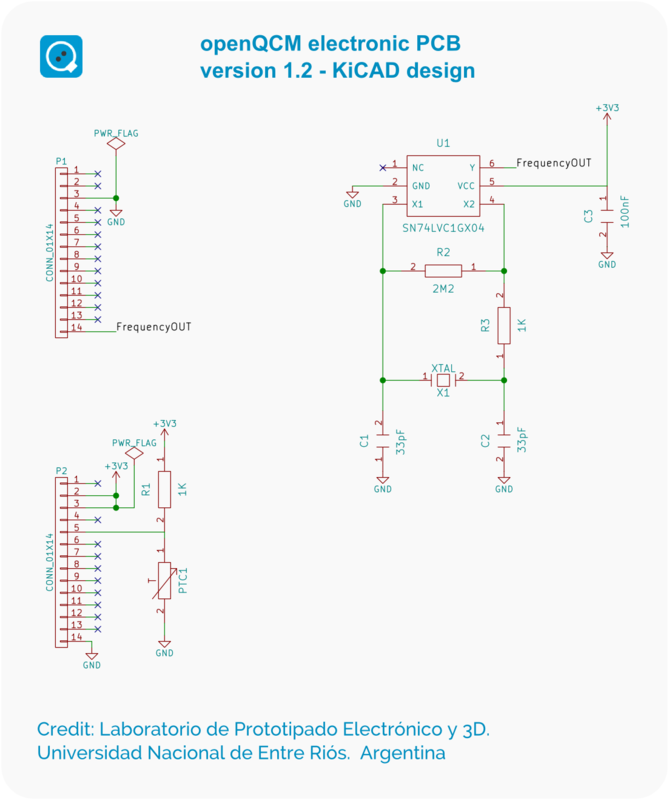 openQCM Quartz Crystal Microbalance electronic design is finally released using the free software KiCAD. Thanks to Martin Zalazar, Christian Mista and all the guys working at the Lab of electronic prototyping and 3D printing of the Universidad Nacional de Entre Ríos UNER - Argentina Great thanks for being an active part of the openQCM community ! 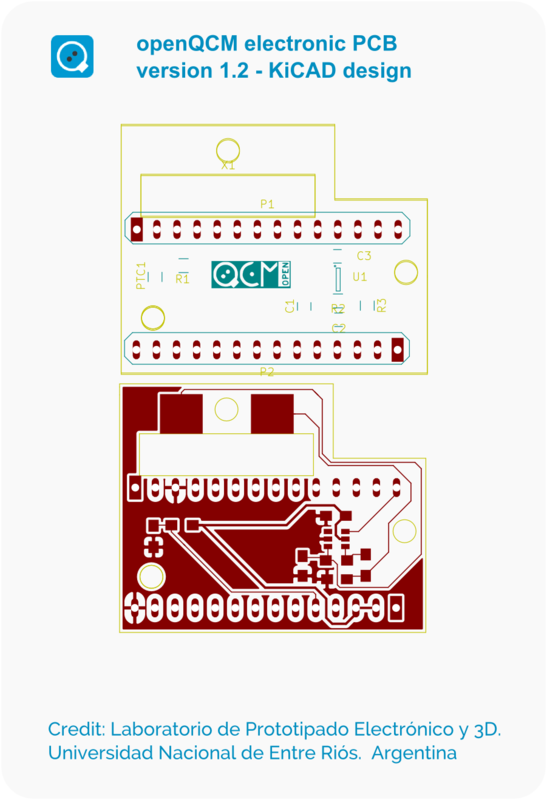 When we started the openQCM project we used Eagle software to design the schematics for the electronic circuit and the conversion to PCB for the openQCM Arduino shield. But we know that Eagle it is not an open source software, the free version has some limitations in the development of schematics and PCB. openQCM is an open science hardware, so everyone should be able to copy, study and modify the original design. In the effort to make openQCM more open as possible we wanted to migrate to a new suite for the design of the openQCM electronic, but for different reasons we did not have the chance to develop the new design. Hello dears, first of all, congratulations for your development and thanks for sharing your advances and know-how to the community. ... My research interests are related with the design, simulation, fabrication and characterization of BioMEMS/NEMS and microsensors using piezoelectric materials (AlN, PVDF and quartz). Martin and his research group wanted to using Quartz Crystal Microbalance technology as a biosensor starting from the openQCM original design. In addition they would like to fabricate the device by themselves in the Lab. We were so glad to share with Martin and his group all the information they needed and we started soon a very inspiring collaboration. It was one of the first collaborations which point to the development of openQCM as a community of people who wants to democratize science by sharing expertise and developing open science hardware. It was great ! They are pushing openQCM in a more open direction by sharing the schematics and the PCB design of the openQCM electronics using the platform KiCAD, a cross-platform open source electronics design automation (EDA) suite. KiCAD makes the design of schematics for electronic circuits and their conversion to PCB designs more easier. It was written in C++ and released under GNU GPL v2, GNU LGPL v2.1 license.